When, exactly, was Elizabeth of Lancaster’s first marriage dissolved….? A source at the National Archives says that John of Gaunt’s daughter Elizabeth was married to the boy, John Hastings, Earl of Pembroke, on 24th January 1380. She was about 17, he was about 8. She then “disagreed” with the marriage, because of her husband’s youth and inability to consummate the marriage, and the source says that the marriage was dissolved on 24th February 1383. A very specific date. So, would she still do this even though the marriage had been ended? In other words, would she remain Countess of Pembroke until she remarried? Or, were proceedings to disagree with and dissolve the marriage commenced in the February of 1383, but not finalised until after the September? It’s always claimed that the annulment of her first marriage had to take place hastily so that she could marry the father of her unborn child. But the dates above suggest she was no longer married to Pembroke when she was seduced by Holand, who was fervently in love with her. And, presumably, she with him. How did this widespread story of marital infidelity and hasty remarriage come about? Because she was still called the Countess of Pembroke, and assumptions were made that she was still married to Pembroke? Or because the sources I have quoted above are wrong? Should I ignore the dates that contradict the salacious traditional tale of adultery and a “shotgun wedding”? Being a Ricardian, I am always mistrustful of “traditional” tales…. PS: There is also a very strong suggestion that Sir John Holand was the father of Richard of Conisbrough. 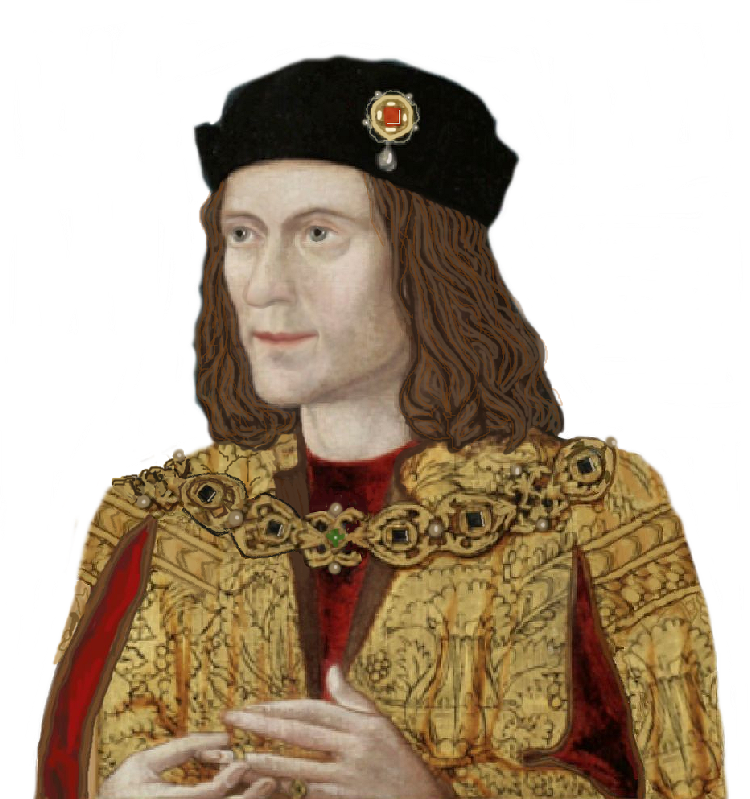 father of Richard, 3rd Duke of York…and thus the grandfather of Edward IV and Richard III. Sir John is believed to have had an affair with Richard of Conisbrough’s mother, Isabella, Duchess of York, wife of Edmund of Langley. No one knows for sure, of course, but Edmund of Langley left Richard of Conisbrough out of his will, and it was down to Isabella to do all she could to protect her son. It does indeed smack of Richard of Conisbrough not being York’s offspring. Good Sir John Holand certainly seems to have left his mark on history! He was reputedly very tall and handsome…might this be why Edward IV was too? Just a thought. At that time didn’t February 1383 follow September 1383? It would still be too early for Elizabeth to “have” to be rid of Pembroke because she was pregnant by Holand. The expected child, Constance, was born in Spain, when Elizabeth left England with her new husband on her father’s venture to claim the crown of Castile. Unless there had been a miscarriage/stillbirth before then, of course. If so, there does not seem to be a record of it. Gaunt’s expedition to Castile commenced on 9th July 1386. Thanks for reminding me – the year began on Lady Day, 25 March. That may have serious implications for the Swynford-Beaufort case! More grist to the mill!